This week has really thrown us into an autumnal feeling with so many beautiful changes in the colours we are finding in the forest. The wind has picked up to blow the fallen leaves around and the squirrels are busy all around us gathering all the sweet chestnuts. Jacki led the children in a focus project, building a beautiful tree collage full of autumn colours to go with our summer tree. This facilitated child led conversations about seasons and features of the forest that change throughout the year. Rachel constructed a boat, complete with sail, rigging and tiller which sparked lots of role play scenarios, singing, pirate adventures and physical exploration of the knots and sail. The children have been playing counting games using beans from the allotment that they helped “shuck” from their pods. There has been lots of enjoyment matching leaves they find to the shapes in Kellie’s book, noticing the different shapes, sizes and colours. There have been stories, adventure walks and explorations galore with our newer children already blending in with their peers and settling into their forest adventures. 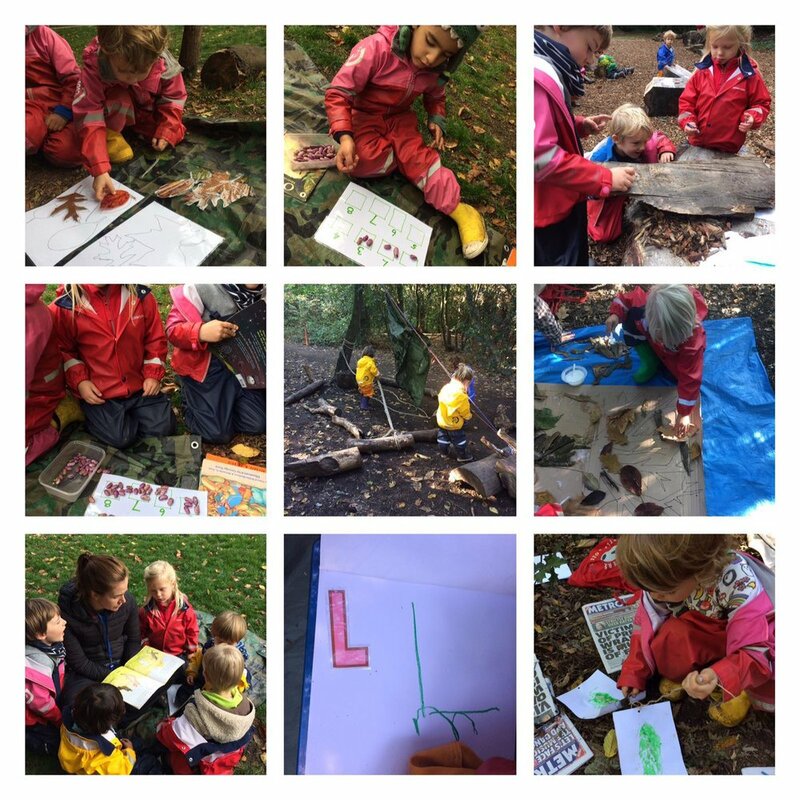 We are all looking forward to Stay and Play next week where we get to let mums and dads experience a child’s eye view of our beautiful forest.